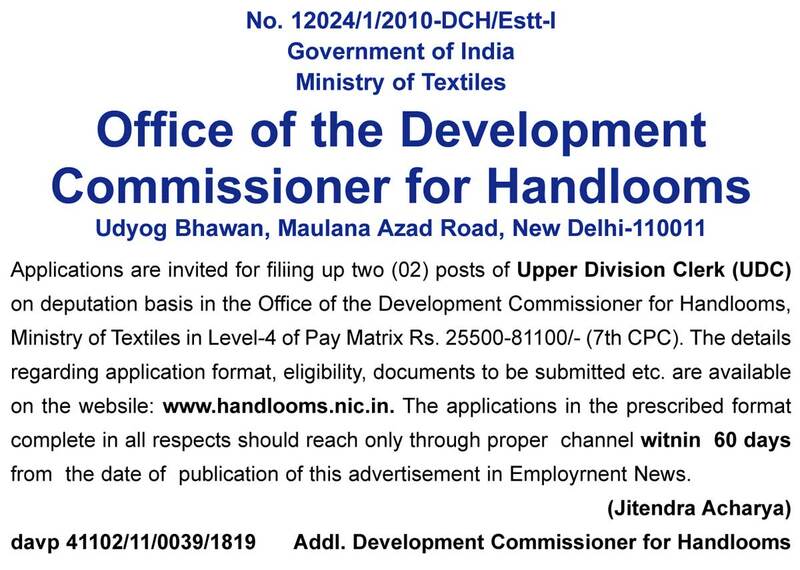 Applications are invited for filiing up two (02) posts of Upper Division Clerk (UDC) on deputation basis in the Office of the Development Commissioner for Handlooms, Ministry of Textiles in Level-4 of Pay Matrix Rs. 25500-81100/- (7th CPC). The details regarding application format, eligibility, documents to be submitted etc. 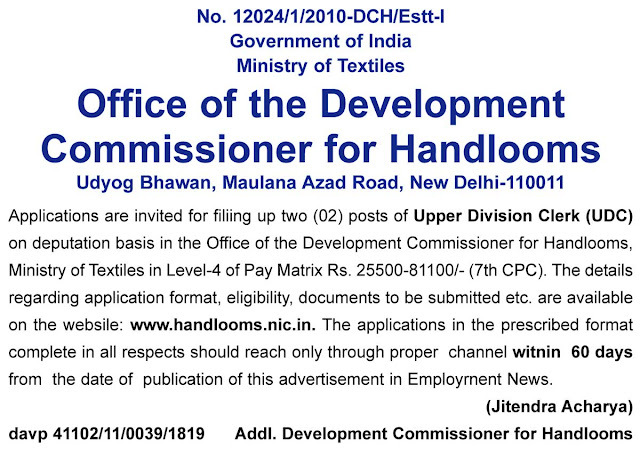 are available on the websile: www.handlooms.nic.in.